This is a very fine range of hog tools but at a lower price than Series A. 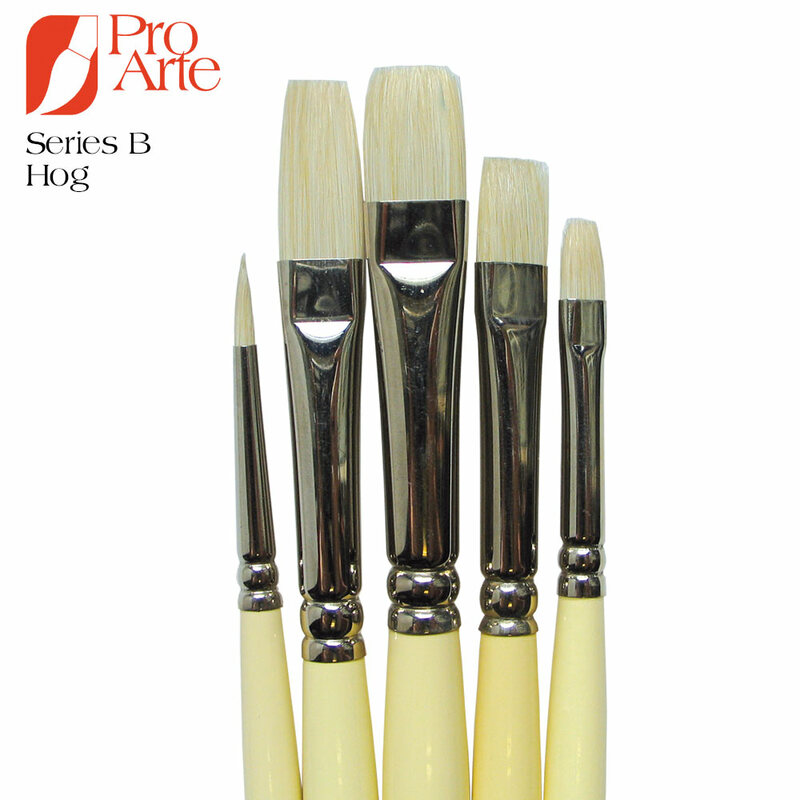 They are made from a very high grade of Chinese bristle and are similar to Series A. Seamless brass ferrules. Long ivory coloured polished handles.